Are Mormons Voting More Biblically Than Evangelicals? Last month for the first time during the Republican primary season, large numbers of Latter-day Saints went to the polls to vote. Although controversial Republican frontrunner Donald Trump has scored well with voters who identify as evangelical or born-again, he failed to capture the predominantly LDS, or Mormon, state of Utah. Furthermore, prominent Mormons public figures spoke out against his campaign and focused their support on U.S. Senator Ted Cruz. 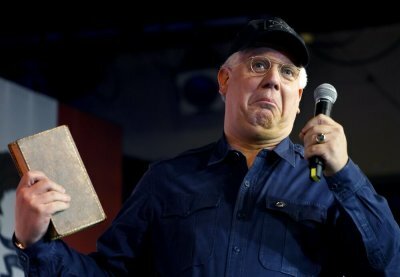 Conservative pundit and Mormon convert Glenn Beck, a supporter of Sen. Cruz, said at a rally held late last month that evangelicals, namely those in the South, "are not listening to their God." "The Book of Mormon trusts in you — that you will see these times and you will run to the truth. I come to you today to give you this message. Utah has an incredible opportunity," declared Beck. "So many Christians have been standing up. But all throughout the South the evangelicals are not listening to their God. Let us raise a standard in Utah. Let us do this one thing perfectly right." Are Mormons doing a better job of voting in accordance with biblical principles than evangelicals? Why did Mormons overwhelmingly reject Trump while large numbers of evangelicals embrace him? Dr. David Campbell, chair of the Political Science Department at the University of Notre Dame, is the author of the recent book Seeking the Promised Land: Mormons and American Politics. In an interview with The Christian Post, Campbell said that Trump was at odds with many sentiments prevalent amongst Mormons, including "a great emphasis on clean language and living" and immigration. "Mormons are generally favorable toward immigrants. 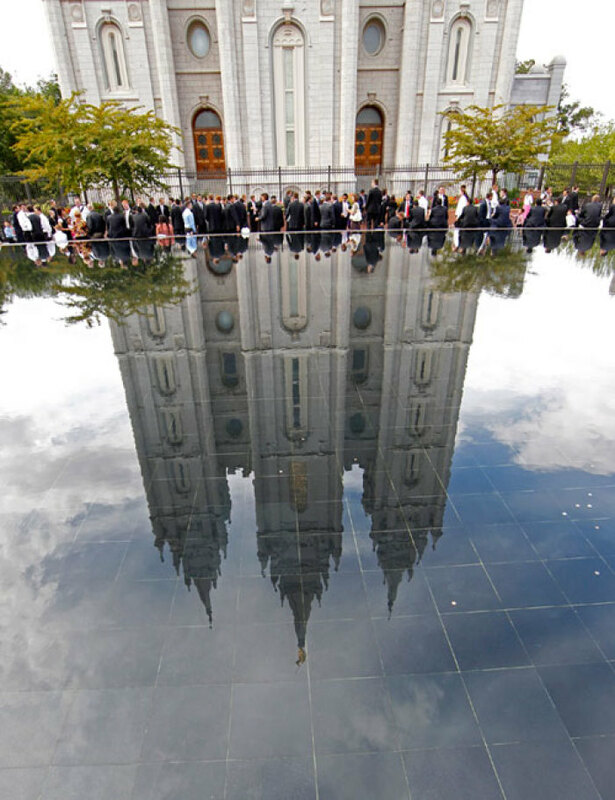 This is especially true for the high percentage of Mormons who serve as missionaries abroad," said Campbell. "But perhaps most important of all has been Trump's anti-Muslim rhetoric, which is anathema to Mormons who see themselves as a religious group that, historically, has been subject to persecution." In addition to Beck, former Massachusetts Governor Mitt Romney has been a vocal critic of Trump. Last month Romney made robocalls on behalf of Cruz in Utah and Arizona, states with sizable Mormon populations. "I'm calling to ask you to join me in supporting Ted Cruz for president this Tuesday in the Utah Republican caucuses," said Romney, as reported by The Hill. 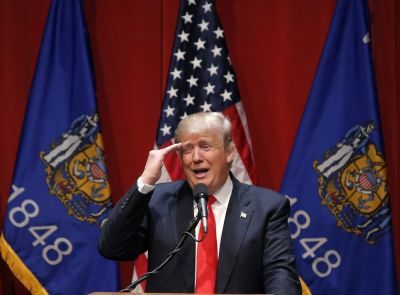 "This is the time for Republicans across the spectrum to unite behind Ted. He is the only Republican candidate who can defeat Donald Trump, and at this point a vote for John Kasich is a vote for Donald Trump." Campbell told CP that while he felt Romney's campaigning against Trump had an impact on the results, "most Mormons would have an aversion to Trump for the same reasons as Romney, rather than Romney being the cause of their aversion." More mysterious to many onlookers has been the strong support for Trump found among GOP primary voters who identify themselves as evangelical. Although both Mormons and Evangelicals tend to be socially conservative, the two camps have had contrasting reactions to the Trump campaign. Dr. Michael Brown, author, CP contributor, and nationally syndicated talk radio host, told CP that he believed one factor for this support was that self-identified evangelicals who supported Trump were often not as practicing. "The vast majority of evangelical leaders and believers I know have serious concerns about a Trump presidency," said Brown. "From what I can see, the majority of evangelicals who support Trump are not as religiously-affiliated as their Mormon counterparts, hence, lacking in consistency." Brown's assessment has been argued elsewhere, as surveys have shown evangelical supporters of Trump to be less likely, for example, to regularly attend church than other evangelicals. Political scientist Tobin Grant of Southern Illinois University looked at survey data and agreed. He wrote a blog entry analyzing American National Election Study data from a January 2016 pilot study of 1,200 registered voters and found that evangelicals who attend church often are less likely to support Trump. He also found a high "racial animus" among Trump supporters in general. "Much of the support is based on racism. Those who think blacks are lazy give Trump over 27 more points than those who do not hold this stereotype," wrote Grant for the Religious News Service blog "Corner of Church and State." "Evangelicals who rarely or never attend church are bully on Trump, giving Trump 22 points higher than those who attend frequently and 26 points more than those who attend weekly." Grant also noted that there "is about a 50 point difference between" evangelicals who attend church regularly and do not hold racist views and evangelicals who seldom attend church and do hold racist views.